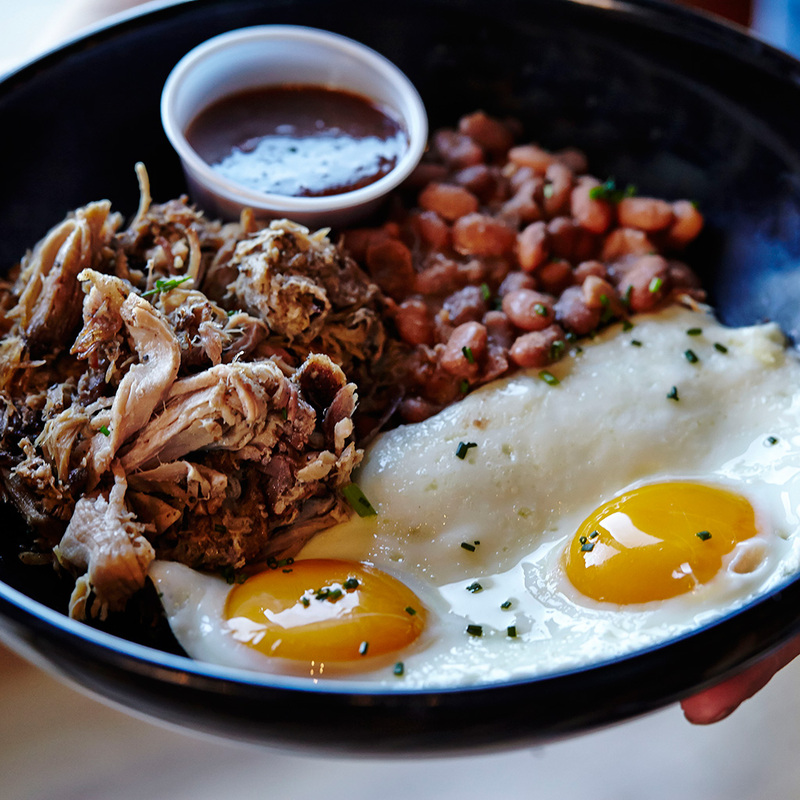 What: When you're in need of a gut-busting brunch, Acme Feed & Seed delivers with its "Damn Good"—an apt name for a huge skillet of pulled pork, pinto beans, their James Bros. barbeque sauce and fried eggs: 100 percent Southern, 100 percent awesome. Wash it down with: Visit the Champagne Jam at Acme's rooftop and opt for real Champagne, mimosa carafes or Gentleman's Champagne—Miller High Life with a shot of blackberry moonshine. Just be sure not to cause another hangover before you get rid of the first.